When was the last time you tried to buy something, but got frustrated at the process and instead left empty handed? If you Google search ‘barriers to buy’, you’ll get roughly 80 million results on various barriers consumers face when making a purchase decision online. But it seems like Google has forgot that we live in interested and, dare I say, revolutionary times. 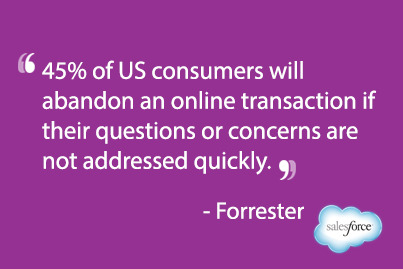 Barriers do not only exist online, but across the omni-channel experience. Just like omni-channel seeks to provide a unified and awesome experience across all channels a customer may interact with your brand, barriers also transcend the digital experience. Keeping the omni-channel experience in mind, here are my top 3 barriers your business should keep in mind when looking at your consumer data across all of your channels. Although there is a lack of data on the non-digital outlets where a customer can interact with a brand, all of the digital complaints can reasonably be applied to your bricks-and-mortar store, for example. I strongly encourage all companies with a good understanding of their online consumer analytics to apply the insights everywhere. It should go without saying that if your customers value (or despise) these elements online, they will likely feel the same about your other channels. Look at how they interact online with your brand, and apply those teachings to real life. It’s common knowledge that a slow website can bring down even the mightiest companies. Consumer attention span has dwindled as websites compete to be faster than their competitors, so much so that a fast and responsive website has become the expectation. After waiting 3 seconds, 57% of online consumers will abandon a website, and 80% of these consumers will never return. Again, the analytics prevail in the online world for how the ease of access or use affects customer behaviour. And again, I’m recommending that this data can most certainly be extrapolated to all your company’s channels, and that you should be looking for new and creative ways to meet this customer expectation in order to remove this barrier to buy. And by ‘new and creative’, I really mean thinking outside of the box. We’ve all noticed the Greeter sales associate at retail outlets that shout “Hi, how are you?” as soon as you enter the store. How unremarkable. What do your customers expect when they walk into your store? Look at how they interact online with your brand, and apply those teachings to real life. A huge barrier to purchase for consumers online is the immediacy of which they can receive their products from the retailer: 24% of consumers note same-day delivery as important. But have you ever thought about how this sense of immediacy applies to your company’s other channels? Give your customers a reason to buy once, and to come back again too. Think about the last time you were standing at a checkout with no one behind the till. How long did you wait before leaving in a huff? This happens occasionally, but having a customer service representative acknowledge the customer at the cash in some positive way can save the sale. Another common situation is not having stock when a customer is ready to buy – it happens to even the most organized retailers. The problem is negotiating with the customer in order to ensure they return to buy the item when it is in stock – a little customer appreciation goes a long way. The ultimate take-away from all three of these barriers to buy across all of your business’ channels is simple: give your customers a reason to buy once, and to come back again too. Take all those analytics from your webstore and other digital channels and apply them across all your channels. Keep customer experience as King, and those barriers to purchase will eventually melt away.